As much as celebrities and influencers talk about their efforts to keep it real on Instagram, the platform’s still, by and large, one big highlight reel. Sure, we’re starting to see more bloating positivity and filter-free acne pics in our feeds, but they’re far outnumbered by images of impeccably styled smoothie bowls, six-packs, and selfies on exotic beaches. On one hand, all of this glossy fantasy can serve as a kind of visual escapism from the heaviness of our era—yet it also can feel discouraging if your life doesn’t resemble a magazine ad. So maybe this is why a certain type of non-visual content’s having such an unexpected renaissance on Instagram right now. 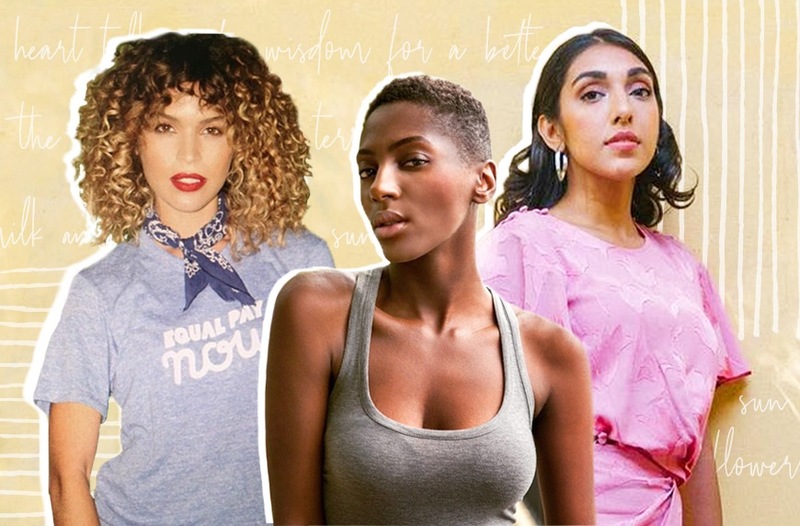 Writers such as Yrsa Daley-Ward, Yung Pueblo, and Rupi Kaur are attracting hundreds of thousands of followers for their refreshingly raw, bite-sized verses on topics like race, mental health, and sexual harassment, while empowering countless others to speak their truths as well. For Daley-Ward, those topics include self-worth and love that’s sometimes painful. 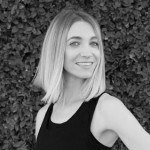 For Laura McKowen, another author and poet who found her following on Instagram, addiction and sobriety are the themes that draw people to her work. “A lot of people tell me that because of my words, they see sobriety differently—they became willing to look at their own patterns and change them, or they have let go of a lot of their shame and found their voice,” she says, noting that some followers have even had her words tattooed on their bodies. Keep reading to discover 9 inspiring women (and one man) whose words will light up your Insta. Where exactly is it that you travel to in your mind? I would like to have the grid reference, the coordinates. Her story: A former model who started writing after attending an open-mic night in South Africa, the British-raised poet has published two volumes of her work—On Snakes & Other Stories and Bone—as well as a critically acclaimed coming-of-age memoir, The Terrible. Her subject matter: The complexities of relationships, the writer’s journey, and the twisty path to self-worth—all expressed with an overtone of optimism and hope. Her story: This Canadian writer and illustrator has collected nearly 3 million followers since she started sharing her work on Instagram in 2014. She’s also published two best-selling poetry books, Milk and Honey and The Sun and Her Flowers, and has been an outspoken advocate for the menstrual realness movement. Her subject matter: Resilience in the face of loss; sexuality and self-love; the need for sisterhood among women. Her story: Perhaps the most commercially successful Instapoet of the bunch, this NYC it-girl’s work has been emblazoned on everything from Gucci ads to Nike sneakers. The author of Heart Talk counts Katy Perry and Reese Witherspoon as friends and has been nicknamed “the millennial Oprah” by many a media pundit. Her subject matter: Political activism mixed with earnest pep talks that read like notes from a supportive BFF. Her story: Though you won’t find much in the media about Waheed’s personal life—or even any photos of her—she’s undeniably one of the most influential poets of our time. Her work has been referenced everywhere from the Women’s Marches to Meghan Markle’s Instagram feed, and she’s self-published two books: Salt and Nejma. Her story: A self-professed health and wellness advocate, Canadian poet Brittin Oakman is well-equipped to wax poetic about mental health—she’s currently studying psychology at the graduate level and has said that she hopes to open a women’s wellness clinic someday. Her story: Hasnaa has attracted more than 55,000 followers, in part, because of her arrestingly shareable written work—but that’s far from her only talent. Hasnaa, the daughter of two spiritual teachers, also creates high-vibe elixirs and teas under the Resonance Apothecary label, conducts one-on-one energy healing sessions, and hosts online courses in consciousness studies through her New Earth Mystery School. His story: Community organizer Diego Perez—who ‘grams under the pseudonym Yung Pueblo—started writing poetry after doing a 10-day vipassana meditation course. His work (including his first book, Inward) has found favor with spiritual types, in particular, who resonate with his messages of peace and transformation. His subject matter: Letting go of attachments; finding new perspectives on sadness and grief; healing humanity by healing yourself first. Her story: A Boston-based mom, McKowen started her Instagram account to share “little bits of truth” as she navigated her journey towards sobriety. The former advertising exec is now one of the leading voices speaking about alcoholism among women, and has launched two podcasts and a self-empowerment course. to all my givers, over-extenders, helpers, and doers: sometimes we’ve gotta give ourselves permission to say no. not today. not right now. i can’t. i don’t want to. no, thank you. etc. Her story: You’ve likely seen this author’s Insta-poems splashed across many of your favorite influencers’ feeds, hand-written on scraps of paper in her unmistakably pristine script. So who’s the woman behind the viral quotes? Among other job descriptions, she’s a Washington, DC-based mother of two, a podcast host, a self-care and self-love advocate, and creator of the Growing in Gratitude journal. Her subject matter: Loving yourself first in order to love others better; the beauty in the struggle; non-cheesy affirmations that beg to be posted on your mirror. Add some long reads to your beach bag with these 22 books the Well+Good crew can’t put down. And if you’re inspired to do some writing of your own, these 9 guided journals will get you started.